Today I needed a distraction so I transcoded some PAPER data into sound. It sounds really weird! Greetings readers. My name is Danny Jacobs. I’m a postdoc working for Judd Bowman here in the SESE Low Frequency Cosmology (LoCo) lab. My job is to help commission the Murchison Widefield Array (MWA) in Australia and the Precision Array for Probing the Epoch of Reionization (PAPER) in South Africa. I visit the telescopes to help with construction and the rest of the time I try to make sense of the data. Someday I want to make an image of the ultra-distant hydrogen between the first galaxies. 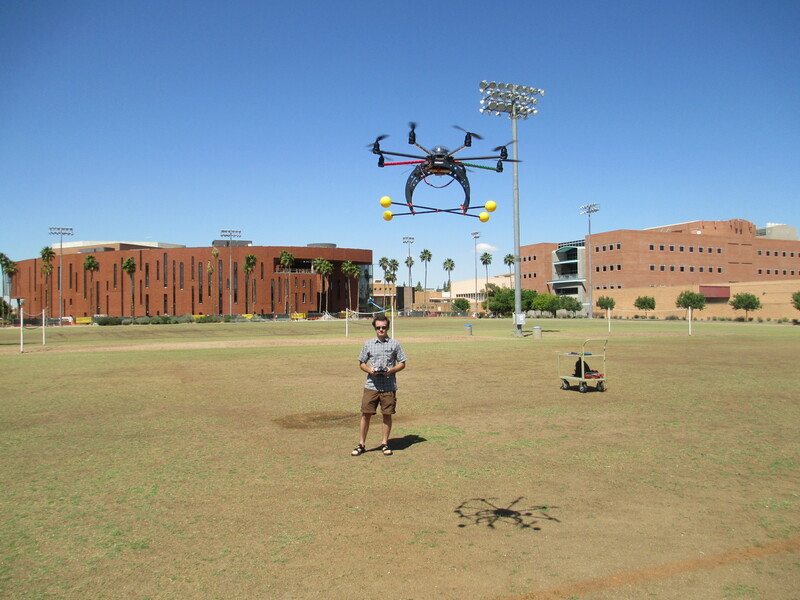 This is my first post here on ASU Explorers. 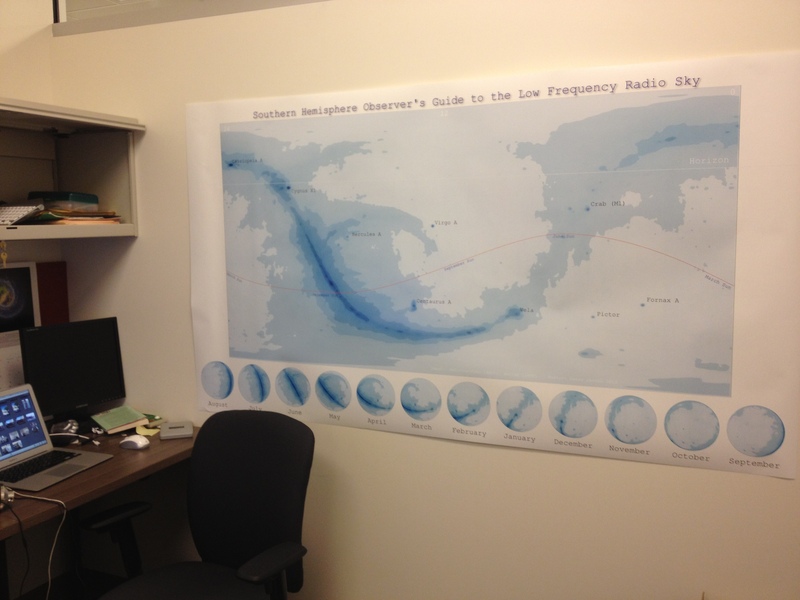 A handy guide to the radio sky hanging in my office. Dragons locations drawn in red. Last month I was imaging the sky with PAPER and I made an amazing discovery… or so I thought. Within a few months a dim, unremarkable supernova remnant had become brighter than the Crab Nebula, one of the brightest radio sources in the sky. I had discovered the Sun! Again! The radio sky is a big invisible place and its easy to lose track of whats going on. Disgusted with myself, I took a break from imaging and put together a map of the sky. There it is to the right, hanging on my office wall. (pdf) It has the brightest few sources, the galaxy, and the seasonal position of the Sun. I also made a supplemental map showing the footprint of my telescopes on the sky. (pdf) The footprints are so large, its easy to forget what will be visible.